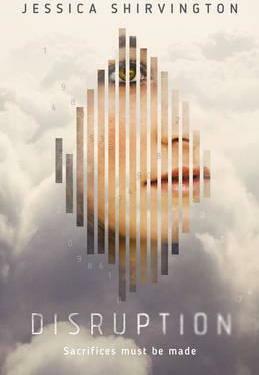 The heart-stopping first chapter in bestselling author Jessica Shirvington's Disruption series. Eight years ago, Mercer Corporation's M-Bands became mandatory. An evolution of the smartphone, the bracelets promised an easier life. Instead, they have come to control it. Two years ago, Maggie Stevens watched helplessly as one of the people she loved most was taken from her, shattering her world as she knew it. Now, Maggie is ready. And Quentin Mercer - heir to the M-Corp empire - has become key to Maggie's plan. But as the pieces of her dangerous design fall into place, could Quentin's involvement destroy everything she's fought for? Jessica Shirvington lives in Sydney with her husband of ten years, Foxtel presenter and former Olympic sprinter Matt Shirvington, and their two daughters. She has previously founded and run a coffee distribution company, Stella Imports, in London, and been involved in managing the restaurants Fuel Bistro, Tow Bar and MG Garage in Sydney. She is currently a full-time mum, author and co-director in the company MPS Investments Pty Ltd.